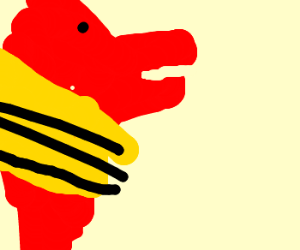 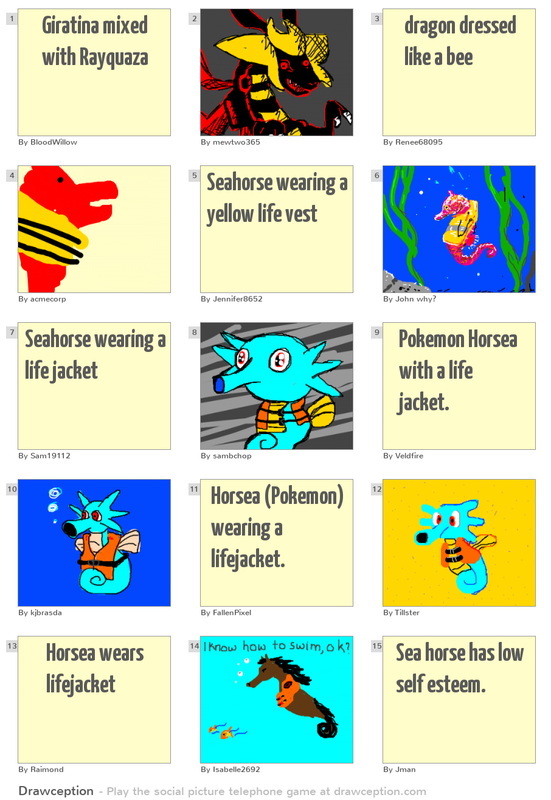 Pokemon Horsea with a life jacket. 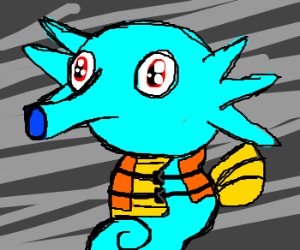 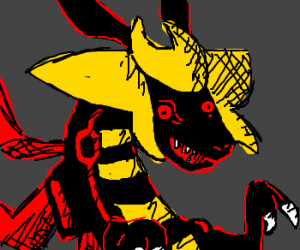 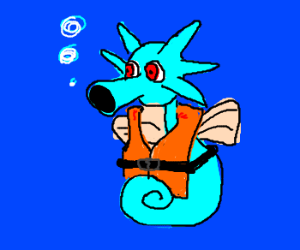 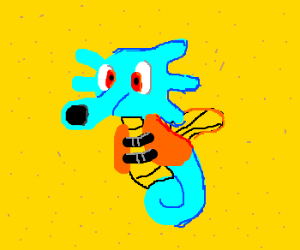 Horsea (Pokemon) wearing a lifejacket. 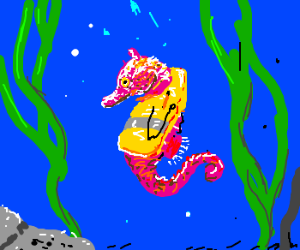 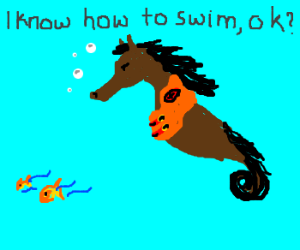 Sea horse has low self esteem.